I want to start off saying, I’m not an anti candy mom. I do however try to keep Izzy’s candy intake to a minimum & I often buy the organic & dye free stuff. #healthycandy If there is such a thing. That said, Izzy will likely have a chocolate bunny in her basket and potentially some “healthy” gummies. Candy is such a given, that I wanted to share some ideas with you all that aren’t candy. First up, and maybe the most important… the basket! You need something to put all the goodies in, right? Do you use the same one every year or change them out as your kids grow? 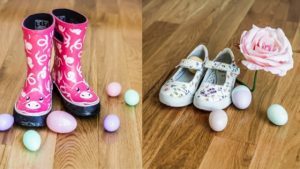 I have found that Izzy needs a few because we attend so many Easter events in and outdoors that some end up getting dirty. Plus, let’s be honest.. it’s fun to get new and customized baskets! 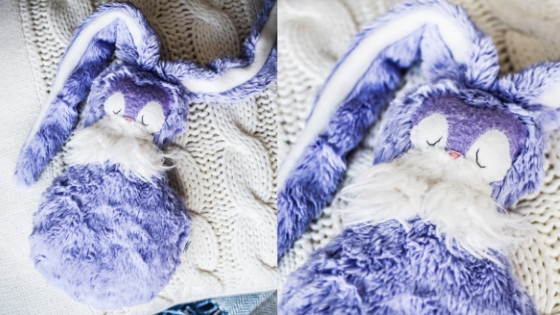 this sweet little bunny ear basket is from Stuck On You. I feel like this is a staple item and must when it comes to Easter Baskets. 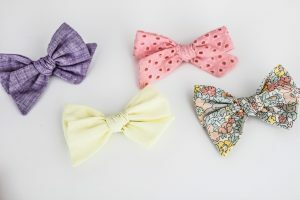 Our Winks and Wildflower loves have been a hit. So naturally I decided to get Izzy a bunny from the Spring/Easter line. Well, two… this one and one that she hasn’t seen yet. Sorry not sorry, you will now have a crazy addiction with Winks and Wildflower creations. Boys and girls LOVE necklaces! 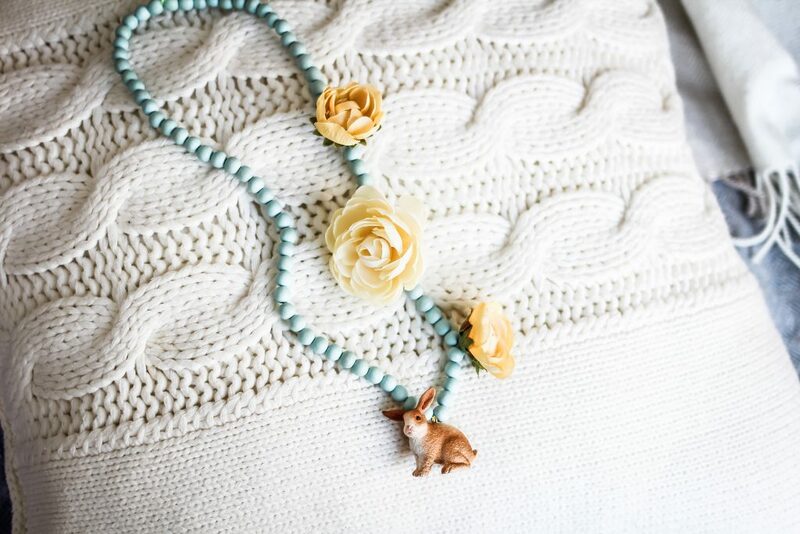 You don’t have to get a spring themed necklace like I did. Poe Pie Kids necklaces are so unique. The shop owner will even work with you on custom designs. I like giving Izzy the opportunity to accessorize and create her own style. I’d say we are slightly addicted to Poe Pie Kids necklaces… Izzy has about 8 by now. But who is counting? Izzy loves creating and using her imagination. We have been obsessed with this company called Party N with Plants for almost a year now. 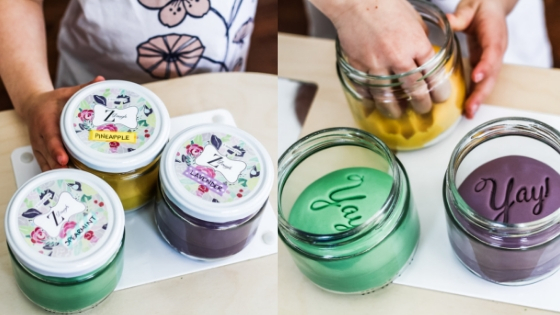 She has succulent kits, zen kits and even kits with scented homemade play dough. 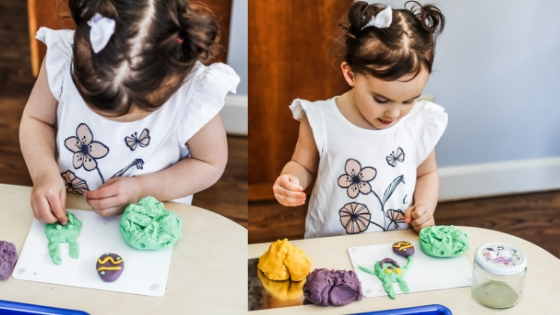 The play dough kits are our favorite because they can be used over and over again! We even bring these out to eat so Izzy has some entertainment. For Izzy’s 4th birthday party we had custom kits made as gifts for the kids to play with at the party and take home. They came out so cute and Izzy is still playing with her kit from the party. We are all about Mary Janes and rain boots this spring. Living in Maine, mud season and some snow is still on the ground, so boots are a must! Our favorite rain boots are London Littles and Bogs. Both companies have unique looks, designs and functions for their boots. Our other favorite shoe company is Pediped. Izzy have been wearing their shoes for as long as I can remember. If you were eyeing these darling little Mary Jane shoes, they are from Pediped. The purple polka dot books are London Littles and the Piggie boots are Bogs. I hope you have a blast filling up Easter baskets this year! 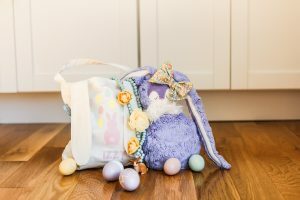 So many great Easter ideas to avoid the over load of candy that always tends to happen. Thank you! Awe thank you 😊 us too! What amazing ideas! I am totally hooked on that bunny, it looks so cute! I need to do my own bunny, grr. Thanks for sharing! I really think you have all the fun and lovely idea for Easter Basket. I do enjoy every much that you use the bow. It has created some spark. This is beautiful,fun and creative at the same time. The bow is really beautiful and the necklace. 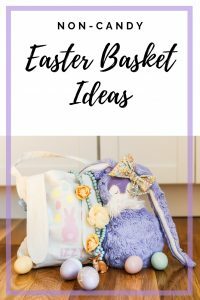 All og these Easter baskets ideas are really cool for the kids. One of my favorite is the Poe Pie Kids necklace because it’s very cute! I love the non-candy basket option! Great ideas! So many great Easter ideas. Thanks for sharing. My hubby and I decided to celebrate Easter with snow crabs.